Gone are the days when print ads and television commercials were the only types of marketing and advertising options available to a business owner. The internet has opened up an entirely new channel of marketing that is effective AND cost-efficient, for even the smallest of businesses. Internet marketing first emerged on the scene in 1994 and has evolved at a mind-blowing pace ever since. 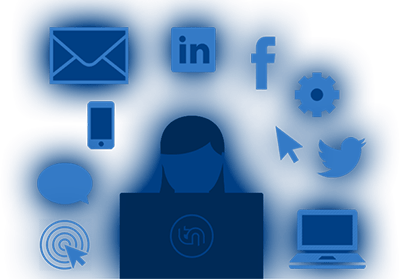 Banner ads, content marketing, pay per click advertising (PPC), email marketing and now social media marketing (SMM) are all big traffic drivers to business websites. As is the case with offline marketing, with online marketing, the more eyes that see the products and services your business is selling, the more likely you are to make more sales. While PPC and SMM can be huge traffic drivers, there is something else that has the power to trump both them combined: search engine optimization (SEO). 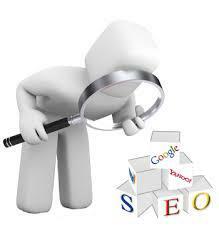 SEO aims to increase the volume of traffic to a specific website by raising its rank in search engine results. Why is this important? Because people turn to search engines to look for information. Perhaps someone is looking for a solution about how to rid their home of pesky bugs. Or they’ve just locked themselves out of their house and need a locksmith. Or need an emergency tow. Or are looking for a new restaurant to try out. The bottom line is that people increasingly rely on search engines to help them find the information they need, quickly and easily. THIS is precisely why it’s so important for your businesses’ website to rank high. Many business owners try their hand at SEO to try and save on marketing costs. The problem with this approach is that SEO is complex and constantly evolving. What may be a good SEO strategy today may not be a great one tomorrow. What’s worse, it could end up hurting more than it helps – and in some cases, can even get you blacklisted, which means major search engines like Google and Yahoo will NEVER show your website in their search results. Can you REALLY afford that type of loss? Good SEO experts will take a holistic approach to your SEO needs. Before they actually start optimizing your site, they will first study your business so they can determine the best ways to reach your target market. This will involve an in depth assessment of keywords that your targeted audience is using to search for businesses like yours. Aside from this, they will also assess your website to see if the layout is user-friendly and if your content is relevant. If not, most will make the necessary changes to ensure the success of your SEO campaign. Since SEO experts are knowledgeable in their field, they make it a point to stay in-the-know when it comes to search engine algorithm changes. This ensures that they are able to quickly and easily make necessary adjustments to their strategies, when needed. It’s important to steer clear of companies that employ Black Hat SEO methods. These types of SEO professionals will promise quick results in terms of search engine ranking; however, they will also put your website at risk of being banned because of illegal practices. Essentially, they expose loopholes in the algorithms. Unfortunately, these loopholes never last for very long, and if it’s discovered that your website took advantage of them, the likelihood is that your site will be de-indexed and it’ll never show up in the search engines again. For this reason, make it a point to ask probing questions regarding SEO methods utilized by a certain firm BEFORE deciding to hire. If you’re interested in learning more about what you need to know before hiring an SEO professional, make sure to check out our resources, which can be found here.